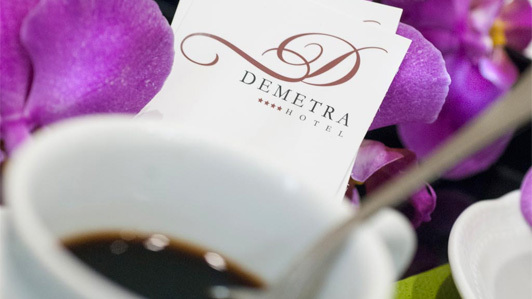 The Demetra, 4 stars hotel in downtown Rome treats its guests with a scrumptious breakfast included in the staying fees. A tasty and nutritious meal is the ideal way to start the day. This is why the finest Italian food products are available at our refined four stars venue. 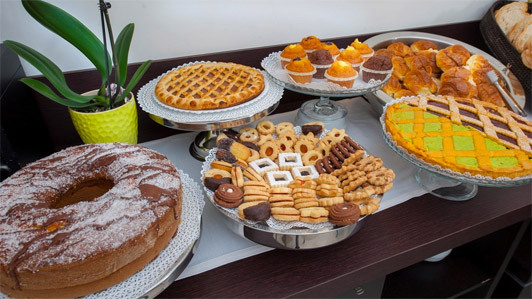 Both the structure and the staff are ready to welcome you with an unmistakable coffee aroma and all kinds of drinks such as orange and fruit juices. Fresh fruits are a necessary first step to head on outside and discover the wonders of the urban downtown. As expected from 4 stars service standards, every ingredient has been carefully chosen according their seasonal availability. For those who appreciate bolder flavors, there is also an international selection of savory dishes, cheeses, cold meats, sausages, eggs and bacon. The best organic produce and confectionery the market has to offer are an absolute must. 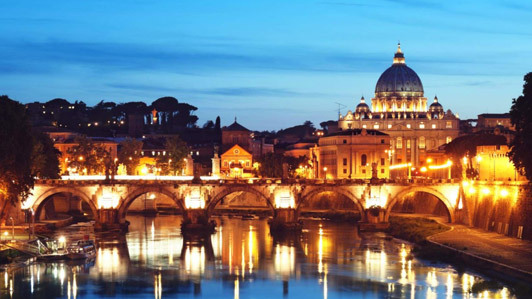 An elegant downtown Rome Hotel in the very heart of the city, near the Santa Maria Maggiore Cathedral, which is one of 4 papal churches, a perfect location for a romantic walk under the stars. 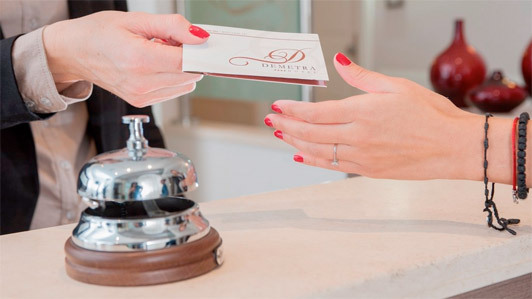 It is recommended for couples, traveling groups and families comprising more than 4 members.